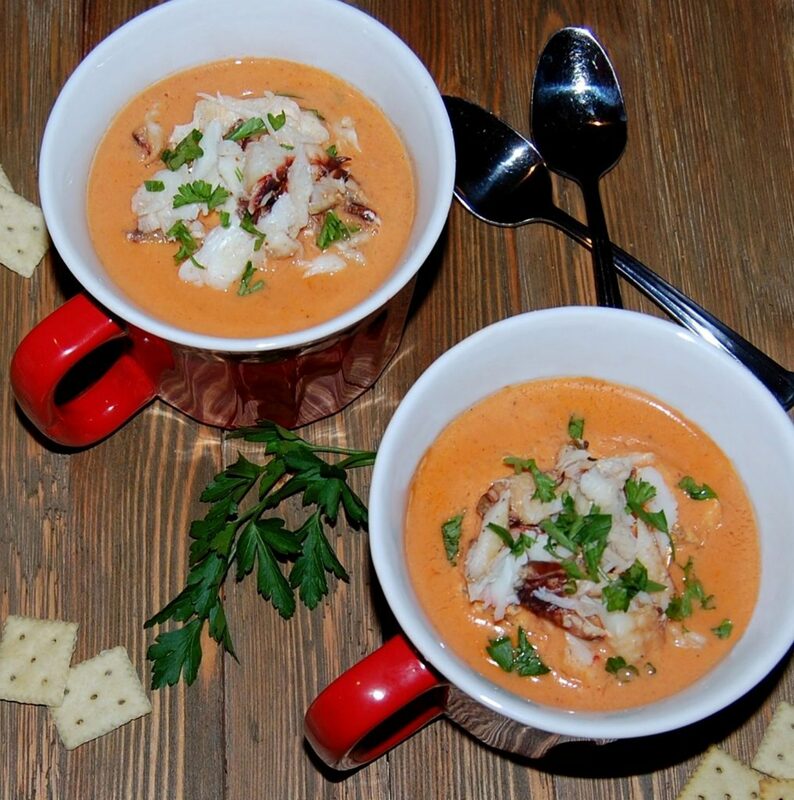 The best-tasting crab meat comes from crabs you catch and cook yourself! 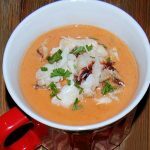 Sweet Dungeness crab in a rich, creamy, tomato broth with a hint of heat, Enjoy! In a large soup pot over medium heat, melt the butter. Add shallots and garlic, and sauté until very soft, stirring frequently for 5 to 7 minutes. Stir in flour and cook, stirring frequently, for 2 minutes. Slowly pour in 1 cup of the broth, whisking all the while to break up any clumps. Then pour in the remaining broth and whisk again to incorporate. Turn the heat up to medium-high and bring broth to a boil. Then turn heat down to medium and simmer for 15 minutes. Add cream and bay leaf, and bring mixture back to simmering, stirring and scraping the pan bottom occasionally. Reduce heat to medium-low and stir in the crab meat. Cook until heated through, about 5 to 10 minutes. Taste for seasoning; season with more salt and pepper if needed. Ladle into bowls or mugs and garnish with fresh parsley, plus a sprinkle of smoked paprika and freshly ground black pepper. Serve with oyster crackers or rolls.